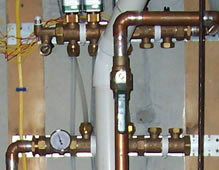 and general plumbing trouble shooting repair. Our professional technician will located the source of water and then determine the least intrusive way to access the leak. Next we will evaluate the problem, discuss the options and fix the leak. A slab leak that is ignored can cause irreparable damage leading to foundation damage. 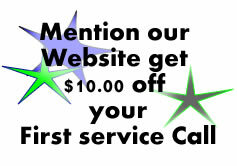 Arlington Plumbing Surgeon is a full service plumber offering all services from the water or gas meter into the interior of your house. 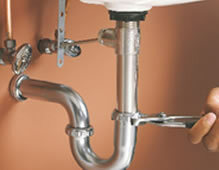 Any job whether a water leak, gas leak , bathroom/kitchen remodel or outside faucet is our priority. 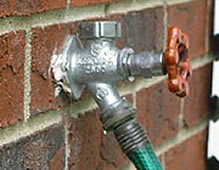 ?What to do if you have a water leak? ?What to do if you have a gas leak? -Quickly Evaluate the situation and determine to exit immediately for fresh air or cover your mouth to avoid breathing dangerous fumes and turn off your main gas shut off valve. If the leak is within your home or between your home and the meter and NOT involved with the exterior gas line from the meter to the street CALL ARLINGTON PLUMBING SURGEON. If your gas leak involves a leak from your meter to the street call your gas provider immediately or call 911. Leave the area of concern and wait for authorities to arrive at a safe distance.